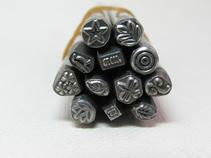 STP-000 assorted decorative steel stamps $10. each or 5 for $40. 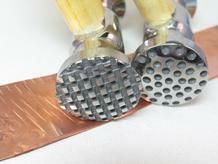 HAM-000 steel texture hammers $20. each or all 3 for $50.